Did you know you can use flowers to permanently dye fabric? It's true. While I have focused the majority of my studies on indigo, as a hobby I like to experiment with all types of natural dyeing methods. Once you start, you kinda end up down a beautiful rabbit hole of color. 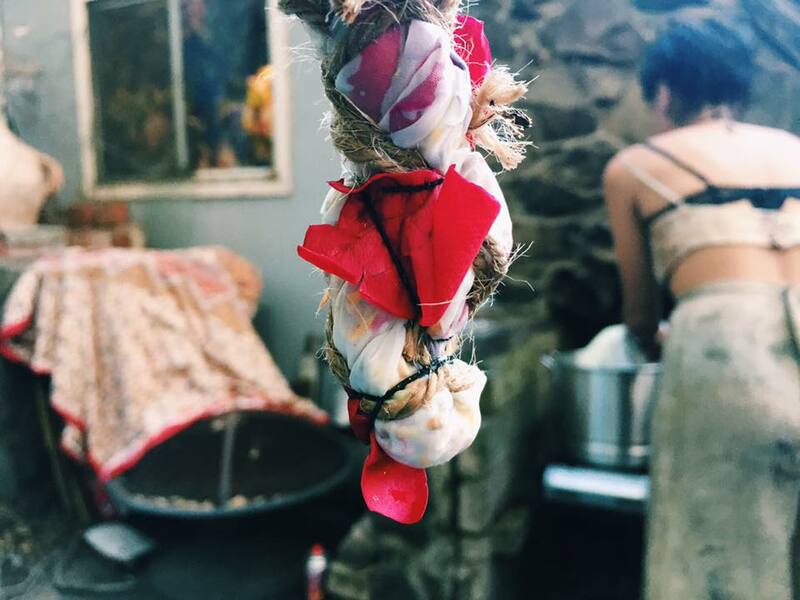 Last year, I was lucky enough to catch a workshop with natural dyer, Cara Marie Piazza. A video about her flower bundle dyeing went viral on Huffington Post, and it turned out she'd be in my area only a few days later. I immediately jumped on the chance to learn from her, and I am SO glad I did. Finding out there there were flowers all around me that I could use to create beautiful textile art was incredible, and her aesthetic is so magical, I love watching her create. Here are 5 flowers you can use to dye fabric, and if you want to learn more about the process, I highly encourage you to follow Cara and read what she has to share. Don't toss those bouquets when they start to wilt. Roses provide BEAUTIFUL nature color on all sorts of fabrics, and this is a great way to repurpose that birthday present and have a beautiful piece you can keep forever. This is one of the most popular flowers to use to achieve a yellow/orange hue. You can get REALLY vibrant colors from them, and you can use them to create a stamp of sorts which is super cool. Hibiscus can be used to get a beautiful red, which in turn can get you nice blush pinks, depending on how much pigment you have in your dye pot! We are adding this one in because even though its not a 'flower' it has a fun surprise that I wanted to share. While the leaves of this plant are green, it actually produces an orange color when you use the leaves as dye. The leaves from chamomile give a beautiful green shade. You can check out this amazing list of natural dyes, which will give you a better idea of the spectrum of color you can get from the natural world around you! Want to learn more about natural dyes? Make sure to sign up for my newsletter, where I announce my workshops around the country!